The 60-page report outlined that court proceedings “fell short of international norms and standards for fair trial and also breached Libyan law in some respects” before calling on the Libyan authorities to take the accused to the International Criminal Court (ICC) in the Hague. 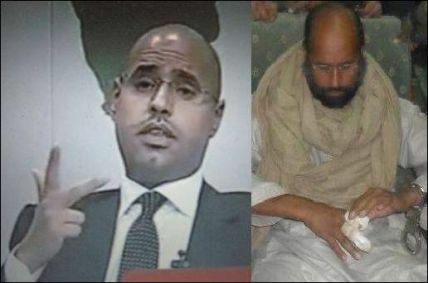 Among the accused are Saif Gadhafi (the former ruler’s son), former intelligence chief Abdullah al-Senussi and former Prime Minister Al-Baghdadi al-Mahmudi together with 33 other senior officials. Only four have been acquitted on all charges while the rest were handed sentences ranging from death, life sentences to jail terms. One of the officials on trial was referred to a mental health institution. The UN-backed Government of National Accord is the internationally recognized Libyan authority but its influence in the country is strictly limited. Armed and tribal groups continue to play a major role in the country’s political crisis and the powerful Zintan militia that captured Saif Gadhafi has refused to hand him over arguing that it has not been assured that he will not escape. Libyan authorities have not reacted to the report but observers expect it to be reserved because of the volatile situation in the country amid the political impasse between the authorities in Tripoli and Tobruk.